Are you looking to sell your house or rent an apartment? Abbotts Countrywide are local estate agents that have been successfully buying, selling, renting and letting property in the Norfolk, Suffolk, Cambridgeshire and Essex areas for over 160 years. Welcome to Harvey Longsons, the experts in selling holiday homes. We have a huge range of Static Caravans, Holiday lodges and Park homes available for sale across the whole of the UK. Specialising purely in the holiday home market, we have everything you need whether you are buying or selling, please give us a call to find out more. Leonard Brittan & Co Ltd are an independent family firm of Letting and Management Agents established in 1971. Honesty, customer care and a high level of presentation are all part of the Longsons package. 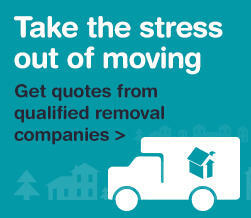 We don’t make the moving process any more complicated than it need be. We believe in using the latest available tools and technology... with good old fashioned customer service. That’s the Longsons approach. Revell Estate Agents are an independently owned and operated business based in the popular south west Market Town of Swaffham since 1999, leading the way with proactive marketing and many years of continuous professional experience.